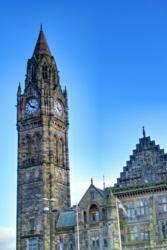 The latest Duport Business Confidence Reports shows 2012 was a record year for company formation in Rochdale. New research from company formation specialists, Duport.co.uk reveals there were a record number of new company formations in Rochdale last year. Over the course of the year, there were 663 new companies formed - more than any other year in the history of the town. 2012 is the second year running in which company formations have risen in the area. Net company growth also rose last year, with the company register increasing by 259, compared to 240 in 2011, and 82 in 2010. This rise could be due to ongoing regeneration of the town centre attracting new businesses. Recently completed projects include a new tram link to Manchester city centre and Number One Riverside, which will contain a new library, customer information point and council offices, as well as retail and leisure facilities. The Duport Business Confidence Report for Rochdale uses economic data to give a snapshot of the local business landscape. More information and statistics can be found at http://www.duport.co.uk/rochdale.